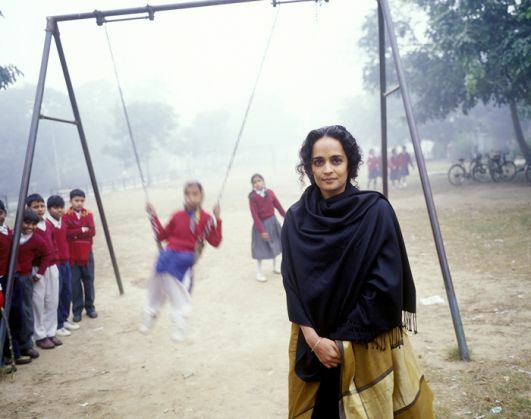 On Friday, the Supreme Court refused to exempt author Arundhati Roy from appearing in court in connection to the case where she has been charged with criminal contempt. Nagpur Bench of Bombay High Court had issued her a notice on 23 December, for an article she had written expressing her unhappiness over the extended imprisonment of Delhi University professor and paraplegic, Saibaba, for his alleged Maoist sympathies. The Supreme Court has also issued a notice to Maharashtra on the professor's appeal against his interim bail being cancelled. The apex court issued a notice to the state on Roy's petition, challenging the contempt proceedings against her. The Hindu reports that the Bench of Justices, comprising Justice J S Khehar and C Nagappan, asked Roy to not to be afraid of appearing in the court and that the apex court was with her as they have carefully studied the arguments put forward by her. Roy has to appear in court on Monday. Hey girls, Baahubali's looking for a bride. Know basic sword fighting, hand to hand combat? Apply!